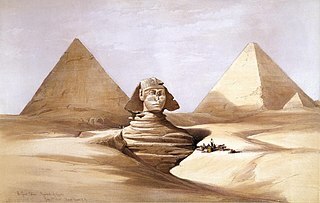 The Great Sphinx (and) Pyramids of Girzeh (Giza) July 17, 1839, by David Roberts. This short story was written after I published THE LAST RHINEMAIDEN, but a couple of years before I began to write SHADOWBOX. An additional episode in the life of Louis Beauregard, this fits somewhere in between both novels, and I haven’t changed any details within the short story since I wrote it. I do wonder whether it still makes sense in light of what I know about Louis now. However, as one of the first short stories I wrote in the Cuckoo Club series, it’s one of my favourites and one I’m still pleased with. Let me know what you think. The sample below should give you a flavour of the story. Details of how to get the whole story for free are at the bottom of the post, after the sample. John PETHERICK: (1813 – 15 July 1882), Welsh traveller, trader and consul in East Central Africa. 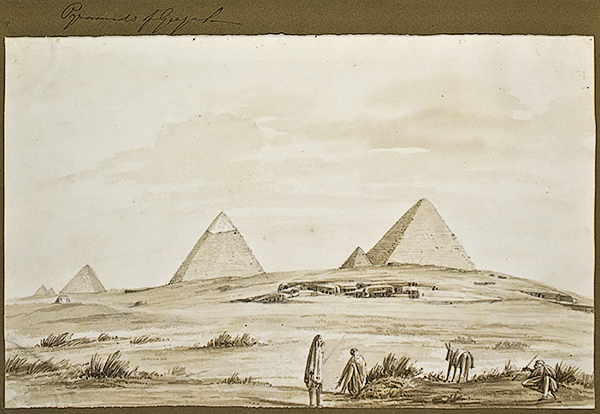 In 1845 he entered the service of Mehemet Ali, and was employed in examining Upper Egypt, Nubia, the Red Sea coast and Kordofan. Charles Piazzi SMYTH: (3 January 1819 – 21 February 1900), was Astronomer Royal for Scotland from 1846 to 1888, well known for many innovations in astronomy and his pyramidological and metrological studies of the Great Pyramid of Giza. Both characters are used fictitiously for the purpose of the story. Their real lives were so much more interesting than anything I imagined. The night before he first beheld the Nile, Louis Beauregard slept in the Libyan desert on the plateau above Giza, tense with anticipation, listening to dogs whining far off in the darkness under the crackling stars. The climb was slow, fascinating and dangerous. Now and then one of the couriers would cry out a warning as a tiny black serpent skated across the stone and wriggled like a cut limb into the safety of some dark crevice. Winged beetles erupted from the cracks between the stones and hustled into the hot air in front of them, their iridescent wing-cases blinking like the spirits of the dead. Scorpions came out from under overhanging ledges with the onset of shade to bask in the heat pouring from the surface of the blocks, and they scurried off at the men’s approach, or froze in combat pose, eyes hard as garnets. Louis felt as if the whole edifice was crawling with poisonous life. The group stopped to rest and Louis sat carefully on the edge of a stone block to gaze out across the river. He actually shivered. The higher they climbed, the more exposed he felt. A mile away the great Nile crept, lazy as a glutted crocodile. It frightened him. It showed him his insignificance on the face of the world and it frightened him. He shook his head, speculating on the strength of the Pharaohs who had stamped their feet on this nation for so long. He felt awe for the god-men of old. The man whose tomb lay behind him was a giant to have conquered such a place. ALL ROADS LEAD TO THE RIVER is available for free on Smashwords by using the discount code: ZY43B. It’s also available on Amazon, Kobo and Nook, but you’ll have to fork out for it there. Next: the last post in the SHADOWBOX series: Adieu. I especially love the description of the snakes, but this was lush and evocative straight through. I can see why you love this story, even without knowing more. Heading over to Amazon now! =) You’re more than welcome!